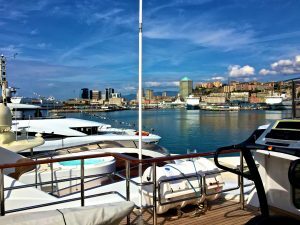 Located right at the crook of the panhandle for Italy, along the Ligurian Coast, Genoa is often overlooked as a yacht charter port for this cruising area. While, in fact, Genoa is a great starting and or ending location for any charter in this area. The international airport is right on the harbor and only 15 minutes away from a boarding marina, and there are several very good marinas easily accessible. 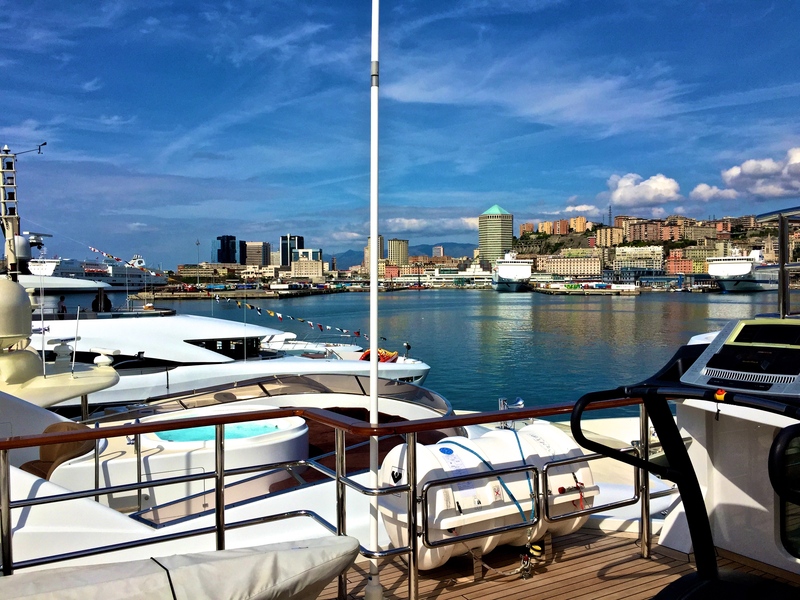 As a large maritime commercial harbor, Genoa offers great yachting facilities and of course, great fresh Italian food and wines for charter provisioning, including Pesto which originated in Genoa. 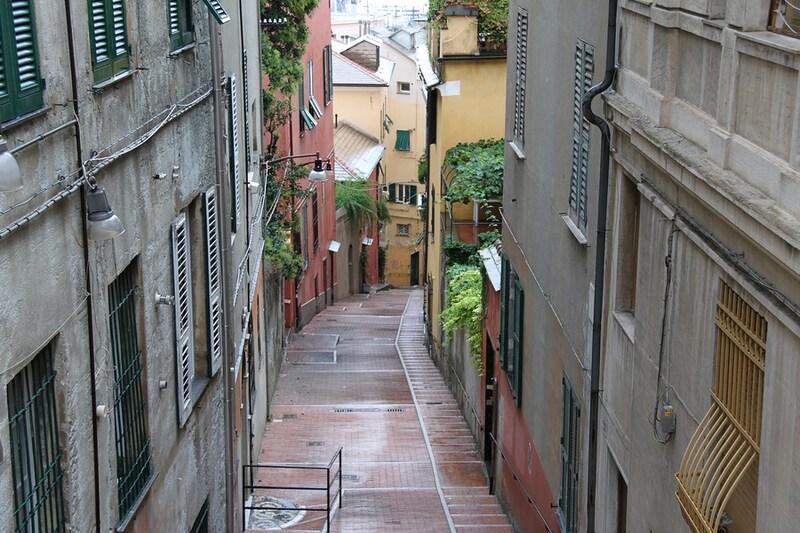 But Genoa also has a fascinating history of its own and is worth spending an afternoon to explore. The history of Genoa goes back to ancient times, with archeological evidence of inhabitation in the area by Ligurians, Greeks, Etruscans and Phoenicians; however it is the history from Medieval times forward where Genoa emerged as an important and wealthy seaport. Genoa developed into an important independent city state before the 1100’s and was governed by several powerful ruling families. At Genoa’s financial and powerful peak in the 16th centuries, large family fortunes were amassed, and important Genovese Families had a large impact on world politics and economics.Left from this time period is an “Old City” of wandering stone paved walkways and narrow streets, lined with buildings with outstanding architectural detail as befitted a wealthy city. Each ruling family built a large palazzo, reflective of their power and wealth, most of which are still standing today, especially on Via Garibaldi, which was established as a World Heritage Site in 2006. 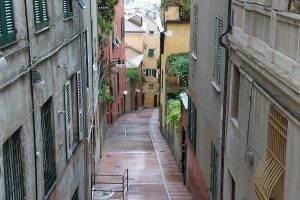 In an afternoon walking tour of Genoa, explore the Old City shown through the architectural monuments of palazzos and churches still standing today. The variety of detail and design from the 16th century of the building facades is a fascinating period of architecture caught in time and still the heart of the city today. Visit the Northrop and Johnson Website to Get More Information!